For 2019 our courses will commence on Monday, July 1st and all courses must be completed by 5 pm on Friday 2nd August. As per the DES criteria you must complete the required time on the course and your start and completion date will now appear on your Cert for your EPV days. If you buy two or more courses you must only complete one course at a time. Course places are limited due to DES criteria. This summer course aims to give an understanding of why recognising and managing stress in positive and healthy ways is important, for your wellbeing and the wellbeing of children. The importance of a relaxing, calm and kind classroom environment will be explored and practical strategies to achieve this will be provided. This course will also provide you with a range of coping skills and tools which can be used personally and can be implemented in a whole class setting. The skills learned in this course complement the SPHE curriculum and enable children to learn about their emotional states through engaging with the content in an interactive and immersive manner. You will be provided with activities and exercises which help children increase their bodily awareness, which will empower them to emotionally regulate in order to ensure a more relaxed, calm and kind classroom environment. ‘Mindfulness’ and ‘Kindfulness’ strategies will be introduced for implementation in your own life and in the classroom. The importance of nutrition, exercise and other positive strategies will be discussed and provided to ensure the sustenance of kind, calm and well beings in the classroom and beyond. To identify ways of managing stress as well as recognising and implementing coping skills to alleviate stress. To empower children to take responsibility for their mental and emotional well-being; to increase awareness of their internal states, to regulate their own emotions and to use appropriate coping tools to reduce anxiety and stress. To equip children with proprioceptive activities, mindful movement and breathing exercises to build up their ‘Well-Being Well’. To promote ‘Kindfulness’ (becoming more mindfully kind) and practice self-compassion with a view to improving personal and class well-being. Learn how to implement Cognitive Behaviour Techniques in the classroom and everyday life. Develop insights into reframing negative thoughts to positive thoughts using Cognitive Behaviour Techniques. To recognise and foster the importance of a calm, positive and relaxed learning & work environment. To equip teachers to integrate drama, literacy, PE, Circle Time and ICT to reduce anxiety and promote calming tools. To use the skills learned to complement the SPHE curriculum and provide ideas for use throughout the curriculum. Learning will also inform School Self Evaluation and encourage a school wide approach with inks/resources to share with parents and the wider community. Learning will inform School Self Evaluation specifically in the areas of bullying prevention, child protection as well as ensuring the emotional and mental wellbeing of students, teaching staff and all staff working in the school environment. Experiential learning from this course will also positively enhance the Code of Behaviour in the school. To introduce Goal Setting and Time Management techniques to children and improve on personal practice. To create an awareness of the importance of nutrition and physical exercise for well-being, stress and anxiety management. Module 5 – Get Ready, GO! 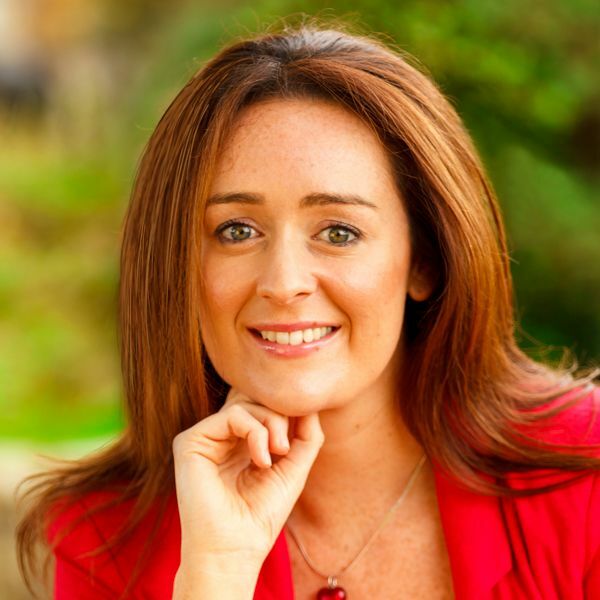 Ciara has worked as a Primary School Teacher for 12 years and has experience of teaching a variety of classes. In recent years Ciara has worked primarily in a Learning Support/Resource capacity. Her qualifications in Psychology, Counselling and Psychotherapy, as well as Play Therapy have made her better equipped to work with children experiencing a variety of emotional, mental and behavioural difficulties. Ciara is also trained as as a Sensory and Proprioceptive activities facilitator and a Mindfulness Practitioner. She has an avid interest in yoga and mindful movement as a means of reducing anxiety and stress and increasing self-care and cultivating positive self-image.